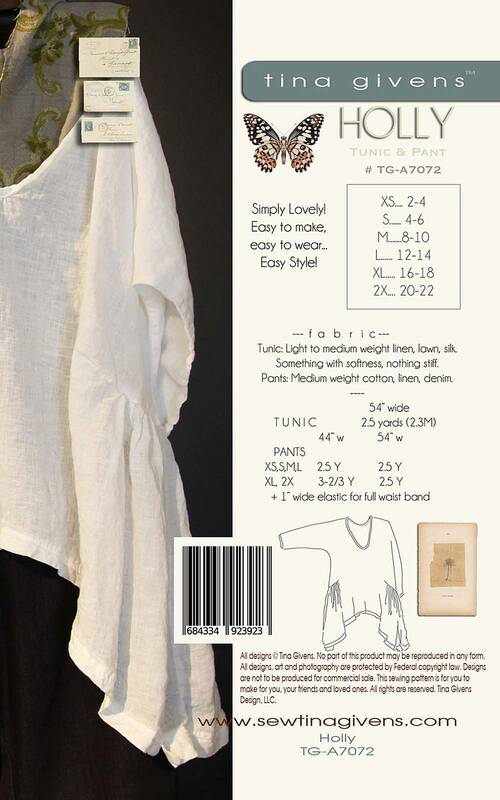 Holly is a well known tunic in Tina Givens' couture collection. Fantastic anytime loose fitting tunic with side gathering detail, slightly up in front, lower in back, oval neck. Pants are an easy make with some personality! A great everyday pant. They are a slightly drop crotch pant with elastic waist, inserted pockets and side panel. Hemmed with a binding. Slightly tapered leg.